"More Titanfall later in the year..."
Since Tuesday's reveal of Respawn's new battle royale Apex Legends, speculation has been rife over the future of Titanfall. Thankfully Respawn CEO Vince Zampalla took to Twitter to assuage fears. EA's earnings call today also confirmed that a "premium" Titanfall experience is in the works for a release later this year. All of this being said, the upcoming game will not be Titanfall 3. In an interview with Eurogamer, lead producer Drew McCoy nixed the idea when discussing Apex Legends. "There are some people who think there are too many battle royale games or it's a fad, the world thinks we're making Titanfall 3 and we're not - this is what we're making." A focus on Apex Legends is understandable, given the game hit 1 million users in its first 8 hours and now boasts over 2.5 million. 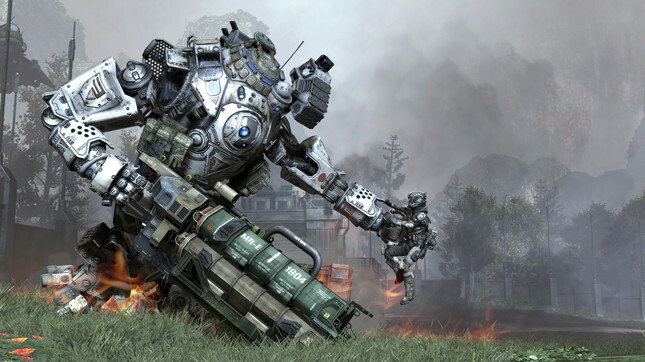 So whether the upcoming Titanfall title will be single-player, multiplayer or both remains to be seen.